Posted by Amanda Hicks on Wednesday, January 3rd, 2018 at 9:29am. 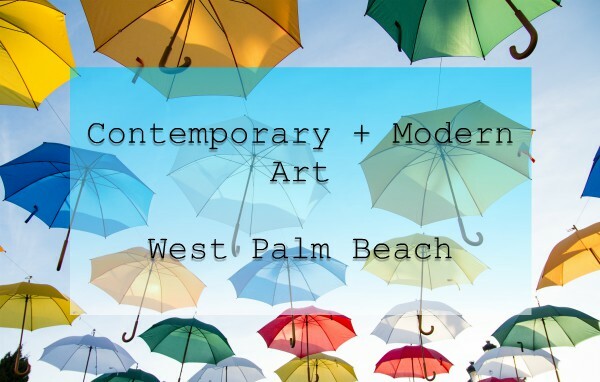 The Palm Beach Modern & Contemporary Art Fair is presented by Art Miami and the City of West Palm Beach. This second edition fair returns to West Palm on January 11th at 5 p.m. The Palm Beach Zoo & Conservation Society, the Ann Norton Sculpture Gardens, and the Joe Namath Neurological Research Center. The VIP Preview is from 5 p.m.- 9 p.m. General Fair days are Friday, Saturday, and Sunday, the 12th -14th from 11 a.m.- 7 p.m. and Monday, January 15th, 11 a.m.- 6 p.m. The Modern Art Fair brings together more than 50 premier galleries from Japan, the UK, Portugal, France, Germany, Canada, Venezuela, and the Netherlands. Art connoisseurs will have the chance to acquire these works of art from contemporary to blue chip, to post-war. The fair brings world-class art and the finest quality works from the 20th and 21st centuries. It will be held in a modern-style 65,000-square foot pavillion between City Place and the Hilton. For tickets and more information click here or call 800-376-5850. One-day pass: $25. Multi-day pass: $55. Students 12-18 & Seniors 62+: $15. VIP Preview Benefit: $150.